About four years ago, Donald Manley came to a major crossroads. Weighing more than 300 pounds and diagnosed with diabetes, he was risking his livelihood. 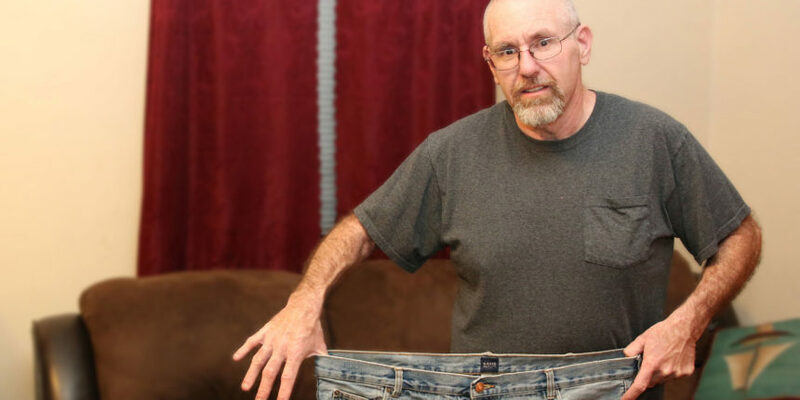 “I drive trucks, and I couldn’t do that if I were on insulin,” he says. Manley decided it was time to change course. After consulting with his Primary Care Physician, Pedro Falla, MD, Manley went to the Southcoast Center for Weight Loss. There, he went through the recommended educational seminars and learned about all the weight-loss methods available, including medically managed weight loss and three surgical options: Roux-en-Y gastric bypass, laparoscopic sleeve gastrectomy and adjustable gastric band. 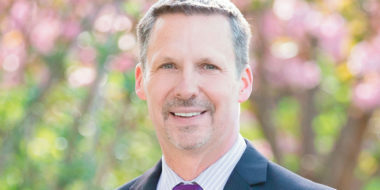 Ultimately, Manley and his bariatric surgeon, Donald Colacchio, MD, determined that a Roux-en-Y gastric bypass would be the best solution for him. Manley, however, was one of that one percent, and is much happier for it. His procedure was done with a minimally invasive technique, and he was up and walking the same day and spent just one night in the hospital. For two weeks after the surgery, he followed a strict low-sugar, low-fat, full-liquid diet, which included pureed oatmeal, smooth yogurts, puddings and cream soups. He then progressed to semi-solids — soft, moist foods easily mashed with a fork for the next six weeks. “It’s a big change to go through,” he said, “but it got easier as I went on.” Eventually, Manley was able to add in solid foods in their proper amounts, each carefully selected for nutritional value. Of course, Manley wasn’t alone in his post-surgical weight-loss journey. 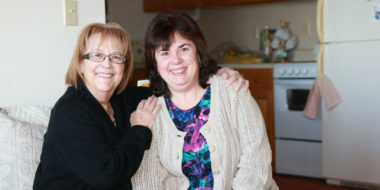 Through the Center for Weight Loss, he attended patient-support programs—some of which provide instruction on food intake and exercise, while others offer psychological, social and emotional support. The Southcoast Center for Weight Loss offers educational seminars that will give you important information about the types of weight loss surgery that are available, how they will affect your body and what you should expect in terms of lifestyle changes once the surgery is done. The seminars are free and are offered in seven convenient locations. If you decide surgery is a good choice for you, the Center will coordinate everything that is needed from your primary care physician and insurance providers. 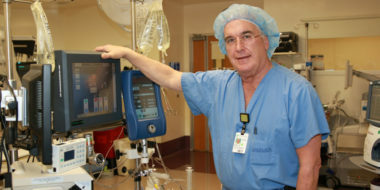 If you are considering weight-loss surgery, first try some of the lifestyle changes Donald Manley and others have made. Even these small changes can help you start shedding some pounds whether or not surgery is in your future. Limit your intake of carbohydrates and avoid fats. “Eat proteins first!” says Manley, who eats meat, chicken and fish in small portions. Make exercise a group affair. For mutual support, Manley has a few walking buddies who walk a couple miles almost daily and trek six to eight miles on weekends. Be smart even when you indulge. “I make a sugar-free chocolate cream pie that completely fooled my father-in-law,” says Manley. To help you with these tips and more, Southcoast Health also offers non-surgical weight management solutions for those who may not be eligible for or do not wish to have surgery.